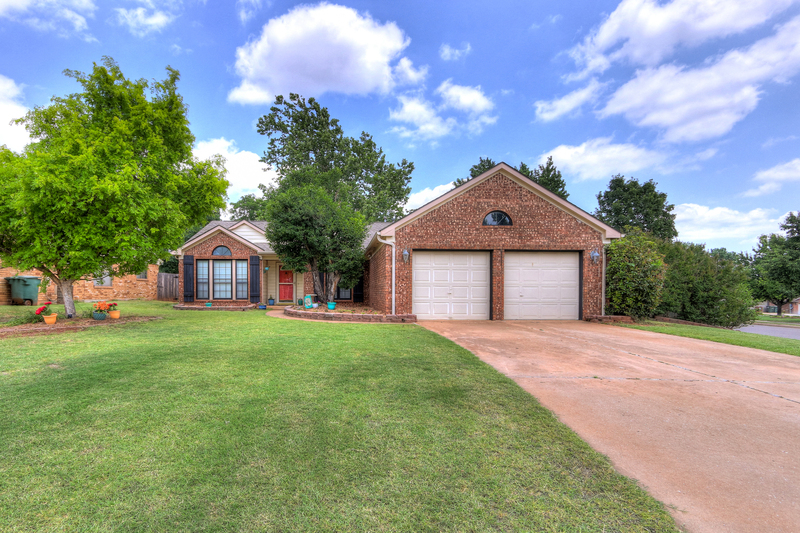 Sold & Closed Home 46 for 2018 ~ Ready to Sell Your Edmond Home? Gorgeous, Gorgeous, Gorgeous 3 Bed, 2 Bath, Soaring Ceilings, 2 Dining Rooms, Amazing Open Living with Perfect Fireplace *** New Hot Water Tank *** Newer HVAC *** Newer Fixtures *** Newer Flooring *** HUGE Master Suite with Oversized Master Spa BOTH with Vaulted Ceilings, Closet Space, Closet Space, Closet Space, Inside Utility, Perfect 2 Car Garage, Corner Lot with Space, Space, Space, Backyard the size of some PARKS!!! and Talk about Location, Location, Location, tucked away in the neighborhood, near all the perfect shops, diners, restaurants, shopping, schools, etc., etc.!!!! Come See your new home Today!!!! !